Where will you find the World's biggest indoor ice climbing facility? And the UK's largest articulated rock climbing wall? And a competition standard bouldering hall, well-stocked outdoor shop, cafe, gym, audio visual lecture theatre and more? When the aluminium smelting plant in Kinlochleven closed in June 2000 the future looked pretty bleak for a village that lay some distance from the main through routes. 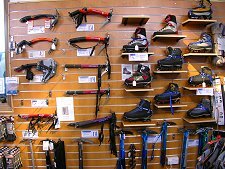 But Kinlochleven has since been busily re-inventing itself as an integral part of Lochaber's "outdoor capital of the UK" initiative. Key to this has been the development of the Ice Factor, which promotes itself as the UK's premier mountain activity centre: and in case you haven't already guessed, "The Ice Factor" is the answer to all the questions posed in the opening paragraph. 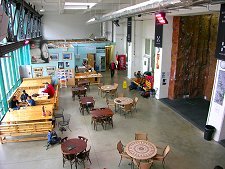 Housed in part of the disused aluminium plant is a pleasant and welcoming open plan area housing the cafe and giving access to the range of facilities on offer. 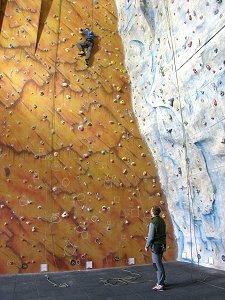 Most obvious is the main climbing area, including a 1,200m² articulated wall. 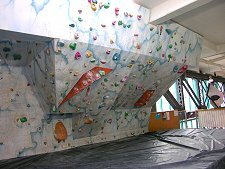 Next to it is a smaller climbing area designed primarily for training and instruction. 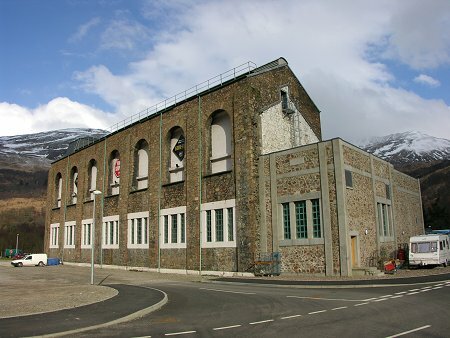 Less obvious because it is hidden behind insulating walls is the Ice Factor's really unique facility, the 850m² ice climbing area. 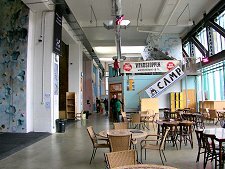 Other attractions include the outdoors shop near the main entrance to the complex, above which is the bouldering hall. And at the opposite end are the gym and steam room. 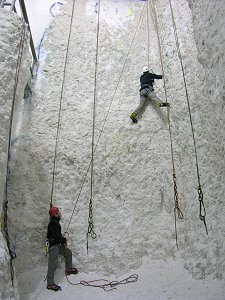 The Ice Factor is all about allowing people to practice and improve a wide range of climbing skills. Courses are on offer catering for all levels of expertise, from advanced climbers simply wanting to keep in trim to hillwalkers who would like to learn how to tackle something a little more challenging in a safe environment. Situated in Kinlochleven's wonderful mountain environment, it is no surprise that The Ice Factor's activities extend into the surrounding countryside. A wide range of courses or days out for groups, individuals, schools, youth groups and families are on offer, ranging from "come and try it" days or half days on the rock, through navigation and first aid courses right up to guided climbs on classic rock routes such as Agag's Groove, January Jigsaw, Ardverikie Wall, or a Sea Stack like the Old Man of Stoer.